The American flag is returning to the surface of the Moon in 2019, not because of a government program, but because of private sector investments into low cost rockets and smart, low cost robotic explorers that are collapsing the cost of lunar access. 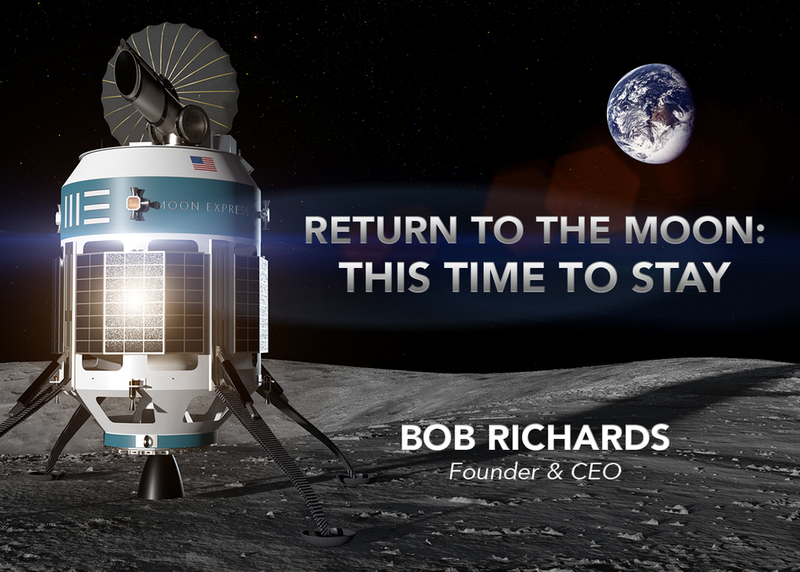 Partnered with NASA, Moon Express will begin a new democratized paradigm of lunar exploration and make the Moon accessible to everyone for science, exploration and commerce. We are at the cusp of a glorious adventure, an epoch of evolution into space perhaps as significant as the evolution of life from the oceans onto land. One day, not long from now, a new generation will look up and see lights on the Moon, and know that they are members of a multi-world species.